← 15 Views of Orlando – RELEASE PARTY!!! Check out my latest comic adaptation, over at LITnIMAGE. I worked with the mighty Ben Tanzer, a Chicago indie-lit god, on his short story “The Gift” (which was originally published at The2ndHand). Check it out at the link here, and let me know what you think. This is probably my favorite comic adaptation I’ve created so far, so hopefully you’ll dig it. 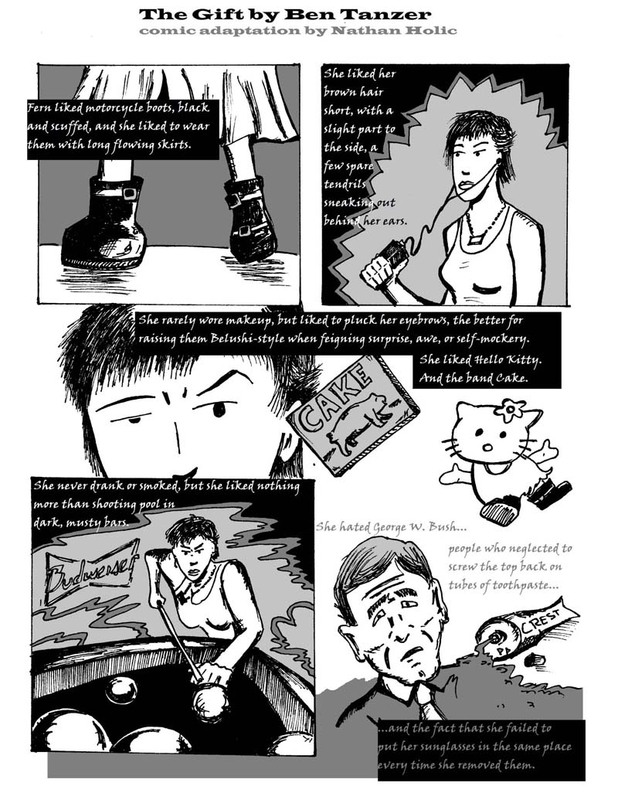 This entry was posted in Uncategorized and tagged Ben Tanzer, Literary Comics, LITnIMAGE, Nathan Holic, Nathan Holic comics. Bookmark the permalink.